There are three basic types of lights in everyday use in homes across the country. Traditional incandescent light bulbs have been around for over a century and are in the process of being phased out due to high energy consumption. They contain tiny coils that produce light when heated. Consequently, most of the energy is consumed by producing heat making them less than friendly to the environment. Halogen is a type of incandescent but produces significantly more heat and can become a fire or burn hazard. Fluorescent lights contain mercury, a toxic heavy metal that pollutes the environment if not discarded properly. Compact fluorescent lamps (CFLs) are designed to fit a normal light fixture. Disadvantages are the delay in reaching peak brightness and shortened life if they are turned on and off frequently. While they are more energy efficient than incandescent lights, they still consume considerably more electricity than light emitting diode (LED) lamps. When it comes to going green and applying clean technology to lighting, light emitting diode lamps are the best available. With today’s technology, these lamps have developed to the point of illuminating a room as effectively as traditional lamps at a fraction of the overall cost. A typical incandescent bulb has a life of around 1,000 hours while LED bulbs will last over 25,000. Consequently, these newer type lamps will pay for themselves many times over during their life cycle. Add the reduced energy consumption and the savings are even more impressive. To produce the same amount of light as a 60 watt incandescent light, these clean technology bulbs use only 11.5 watts. As a result, each bulb can save more than $125 over its lifetime. Recent improvements in these lights mean they can fit into traditional fixtures for a painless retrofit. They also have an omnidirectional beam spread available and are no longer limited to shining light in a single direction. Not only is there a financial advantage associated with a retrofit to improved lighting, it helps homeowners go green. Due to energy efficiency and being mercury-free, there is less of an impact to the environment. No longer is it necessary to choose between doing the right thing and saving money. Switching to LED lighting accomplishes both. If you are interested in doing an analysis of a LED retrofit for your house or your business in Montreal, drop me a line and I would gladly assist you in picking the best technology for the best price available. 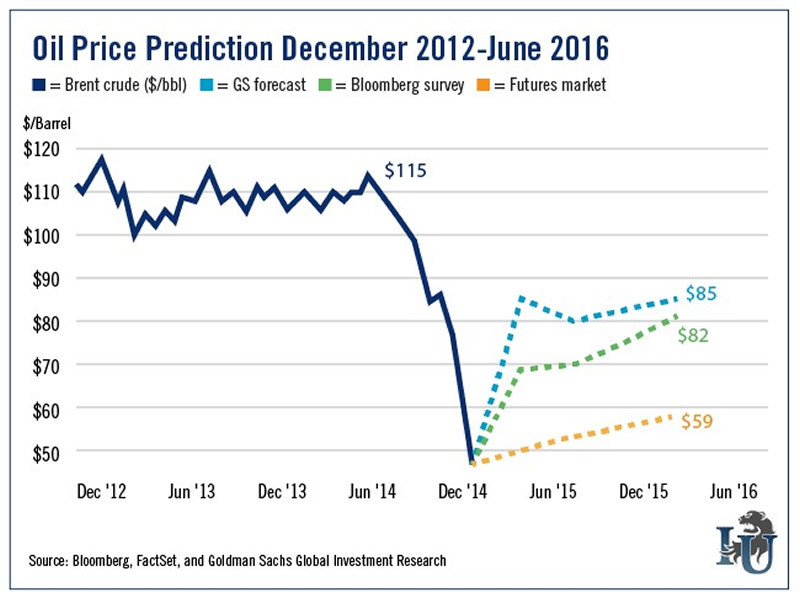 Will oil prices go beyond $100 again? OPEC promised to stabilize supply during the second half of 2015 and blame the sharp decline to increased production from non-OPEC members. OPEC has been producing around 30 million barrel per day for almost a decade. Lately USA is producing shale oil and non open members are competing for a 20% share of the global market. Many European countries are consuming less and less oil because of natural gas consumption or because of more efficient combustible engines. 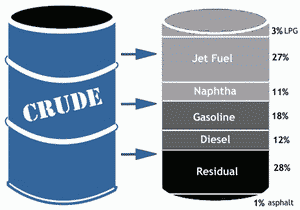 What is a reasonable oil barrel price? This is the break down of an crude barrel. The majority of the output is in jet fuel and gasoline for our cars. An easier comparison is to link the crude price to the gas prices in the market because everybody can see those numbers every day. 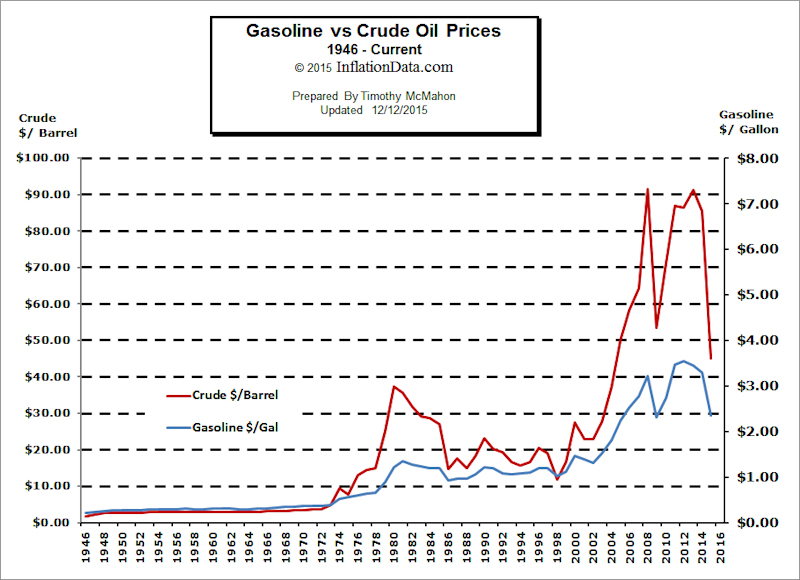 One can look at the following chart and implies a reasonable factor between crude price and gas prices. Unexpected market adjustments (short terms only).